Your Wellness Team at Sheaffer Family Chiropractic will do everything possible to create a magical healing experience for you and your family! We are excited to help you achieve your Health and Wellness goals. 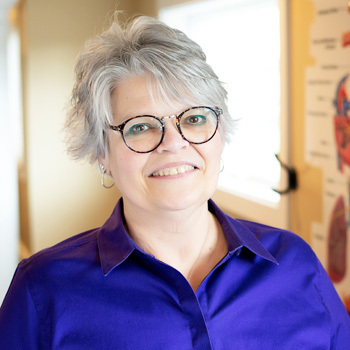 Hello, my name is Pam and I have been lucky enough to be the office manager at Sheaffer Family Chiropractic for 21 years! I am responsible for all of the insurance and financial aspects at the office. My goal is to make the financial part of your care the least of your worries so you can focus on reclaiming your health and well-being. The best part of my job is getting to watch the total transformation in our patients’ health and quality of life from one of pain and discouragement to one of health and hope, energy and success! I really appreciate the help Dr. Sheaffer has been to the overall health of both myself and my family. In fact, both of my children have been adjusted since birth! Being healthy as a family allows us to enjoy quality time together doing activities on the weekends! Hi! 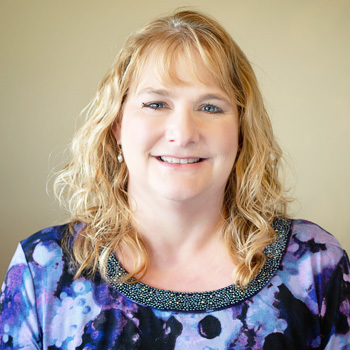 My name is Lisa, and I am one of the New Patient Coordinators here at Sheaffer Family Chiropractic. 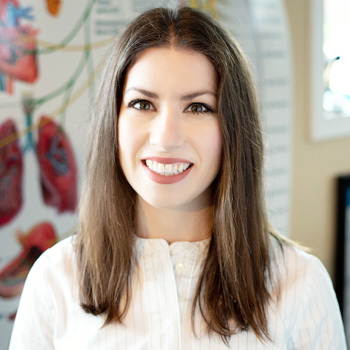 I am available to schedule appointments and run the Neuro-Spinal Examinations in addition to helping you throughout your first visit and follow up Report of Findings. I moved here a couple of years ago and have a Bachelor’s Degree in Child Studies. Over the years, I have learned a lot about Growth and Development as well as Health and Wellness. I enjoy working with Dr. Sheaffer as he helps his patients and their families achieve and maintain their health and wellness goals. Prior to working with Dr. Sheaffer, I was actually one of his patients! Dr. Sheaffer worked with me to resolve long-standing concussion symptoms. I love being able to play sports again! In my spare time I enjoy spending time with my family, as well as photography and gluten-free baking. Call, email or stop by~ I would love to meet you and see what chiropractic can do to help you take back your life! Hello! 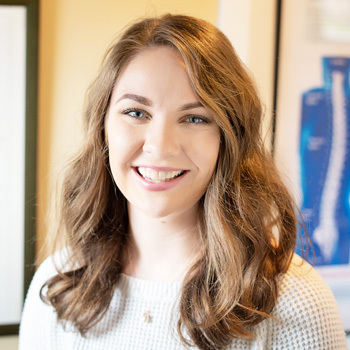 I’m Olivia, and I am one of our New Patient Coordinators here at Sheaffer Family Chiropractic. I may help with your New Patient, Report of Findings, or Re-Exam Appointments. At times you can also find me up at our front desk—for check out and scheduling your next appointment. I started out at Sheaffer Family Chiropractic as a patient with my infant daughter! 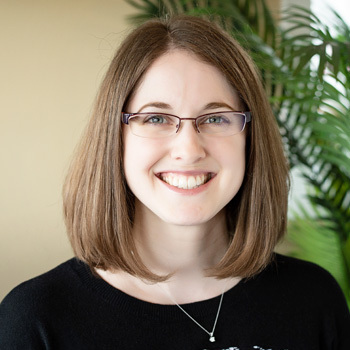 As a new mom, I was most concerned about her projectile vomiting, but Dr. Sheaffer opened my eyes to how chiropractic care would benefit her overall health. I was also amazed at how Dr. Sheaffer was able to help my body recuperate post-partum, especially clearing up some of my brain fog. I am so grateful that through my daughter I was lead to wellness chiropractic care! My favorite part about my job is meeting new faces that come into our office, as well as opportunities to share how chiropractic care is a great way for you to achieve optimal health and wellness! Please feel free to stop me and say “hello” when you are in our office! I would love to meet you, and I am so glad that you found Sheaffer Family Chiropractic! Hello, my name is Debra; I’m at the front desk. I have the pleasure of welcoming you to Sheaffer Family Chiropractic. My background is in Marketing, Customer Service and Sales. I studied at the Art Institute of York in Digital Arts and Marketing. What I like most about my position here is meeting so many nice people. I have also learned how are body can heal itself and how to keep it well with regular adjustments. I came to Dr. Sheaffer with so much pain in my knee I needed a walker to get to the office. When I left I walked out with little pain and with a few more visits no pain or swelling in my knee. I called him my miracle worker. Some of my hobbies are watching my nieces and nephews play volleyball and softball or any sport and spending time with my great-nieces and nephews. I also like to crochet, cook and bake.